The Walden Cluster Board of Directors has again updated the neighborhood’s design standards. The new standards can be found in the Cluster Design Standards link in the left frame. The Walden Cluster Board of Directors has updated the neighborhood’s design standards. You can find the new reference in the Cluster Design Standards link in the left frame. 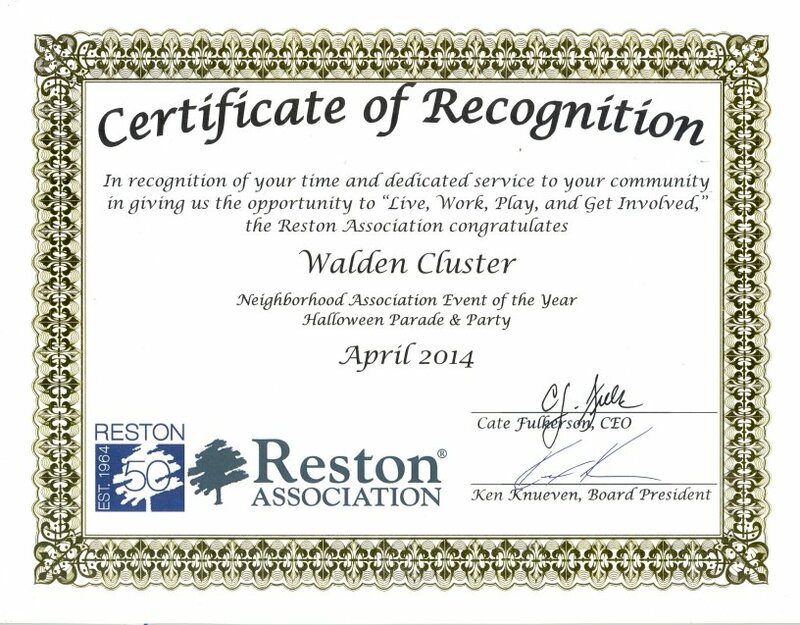 The Walden Cluster Board of Directors has updated the neighborhood’s operating procedures. The new document is available in the Cluster Operating Procedures link on the left side of this page. Once again, Walden Cluster enjoyed a fun Halloween! Thanks to all who participated, including Jacinta, who organized this event, the Fairfax County Fire Department, who visited the neighborhood and led the Halloween parade, and everyone who decorated the playground or provided goodies. Photos are courtesy of Kathryn. 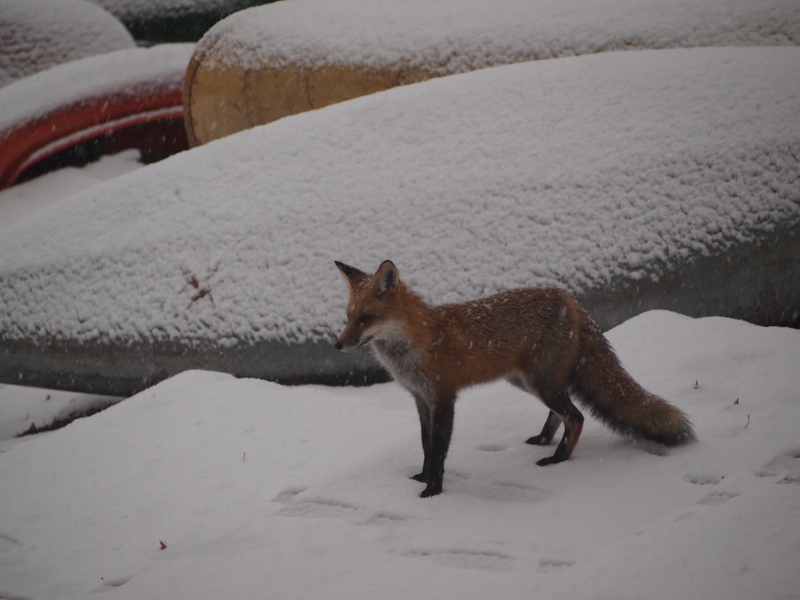 A red fox has been seen in Walden Cluster over the past month or so, and during the recent snow, it was photographed near the cluster dock. Here are some of the pictures taken. You can click on either of the pictures to get a better view. Typically, red foxes range from 12 to 18 pounds. They primarily feed on small rodents (8 pounds or less), but they will also eat plants. They’re most active at dusk and dawn. (The pictures above were taken in early morning.) 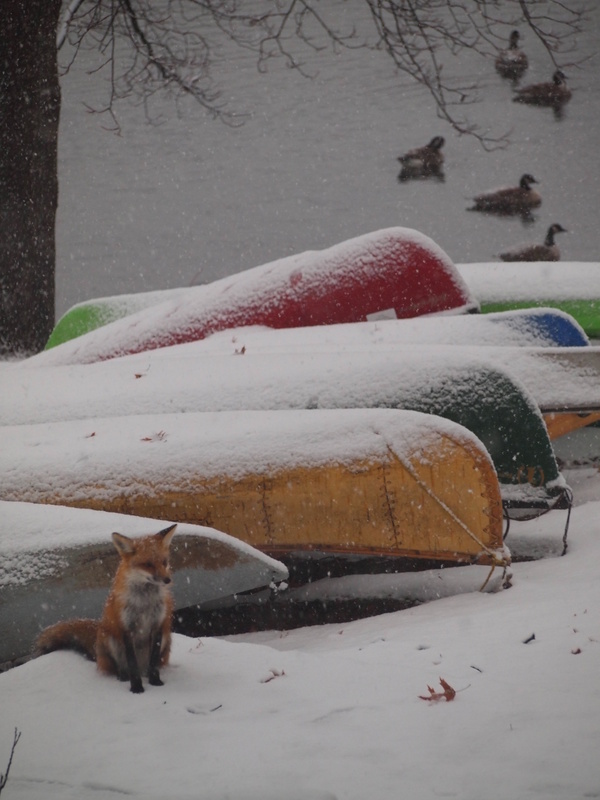 If you have any concerns about a fox being in the neighborhood, there is an informative article about foxes published by The Humane Society in the link below. The Walden Cluster Board has updated documentation on the cluster’s operating procedures and on the design standards. The modified operating procedures include guidance on the temporary use of storage pods. Regarding the other document, though there have not been any recent Reston-approved changes to Walden’s design standards, the update provides some additional clarifying language on existing design standards. The latest documents are available in the Cluster Operating Procedures and Cluster Design Standards links on the left frame of this page. Please contact the Walden Cluster board member if you have any questions, comments, or suggestions. Enter your email address to follow Walden Cluster updates and receive notifications of new posts by email.